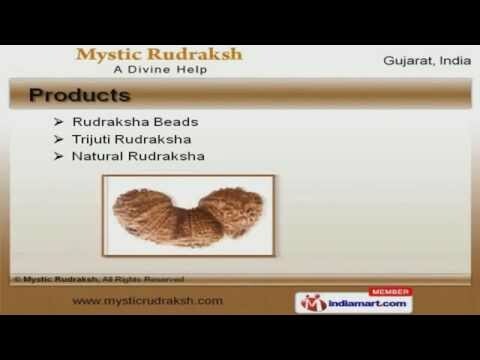 Welcome to Mystic Rudraksha, Exporter and Supplier of Original Rudraksha Beads and Products. The company was established in 2001 at Vadodara. Our Ethical business practices and Reliable astrology services help us to achieve a present repute in the market. We are well known in the market for our Excellent processing facilities, Budget friendly rates and Expedite delivery schedules. We present a unique range of Rudraksha Beads, Trijuti and Natural Rudraksha. Face, Original and Ganesh Rudraksha offered by us are in huge demand across the global markets. Savar, Gauri Shankar Rudraksha and Rudraksha Power Combination are available at industry leading prices. We also provide Rudraksha Ratna Higher Mukhi and Elaeocarpus Ganitrus that are one of the best in the market. Rudraksha Beads for Jewellery, Narayan Kavach for Name and Fame are a class apart. Rudraksha Mala for Worship and Sphatic Mala are nothing but the best solution for all your needs.